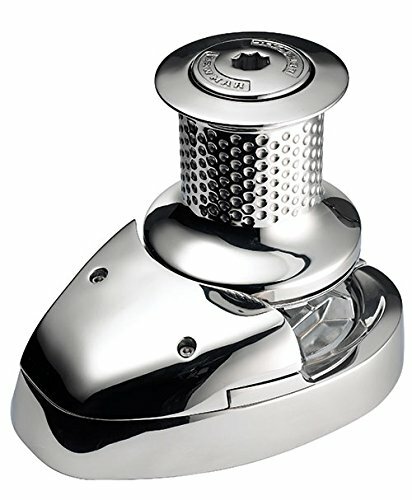 The Five Oceans Pacific 600 Vertical Windlass has a stylish look, 100% stainless-steel design which sits elegantly on the deck. Not to mention, it's fitted with a heavy-duty lever for easy installation. Noteworthy is the importance of the gypsy creating the perfect contact between rope and chain. 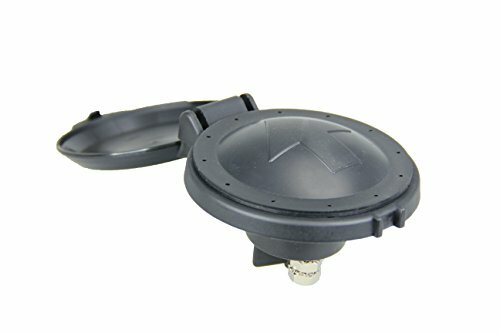 It includes an impact-resistant motor cover, solenoid and standard switches which fit perfectly on the cockpit or bow of the vessel. 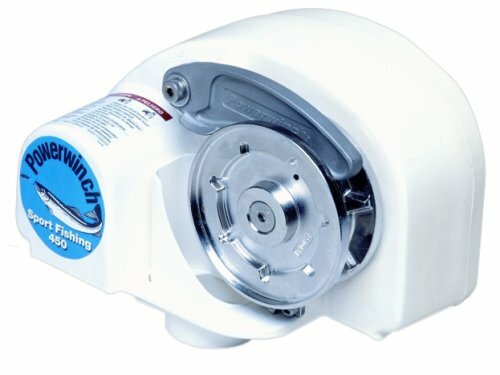 This Pacific series windlass is ideal for your average cruiser, the bigtime fisherman, those made for speed or the calm sailor. Note: For the vertical windlass series, the motor allows for a 90-degree rotation at 12 o'clock, 3 o'clock, 6 o'clock, & 9 o'clock. Depending on the spacing that permits for such positioning. Note for decks that are not flat, a suitable mounting pad may be required to take up camber or sheer. Decks made of a thin, foam or balsa laminate construction, will require reinforcement in order to spread the loads that will be applied to the deck while the windlass is in use. The standard (1/4") threaded mounting studs supplied suit deck and packing thickness of up to 35 mm (1 1/4"). These are adequate for most installations. Includes a dual set of switches for either the bow or the console. Rode Types - This series has the ability to work with a Double Braided, 3 Strands, and 8 Plait Rope. It requires a 1/2 (12 mm) rope and 1/4 (7 mm) HT G4 chain. 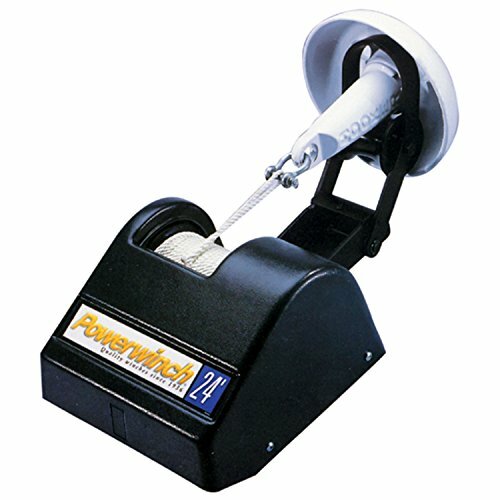 POWERFUL 600 Watts MOTOR which provides a Maximum line speed 85 feet per minute and 1000 pounds of maximum pull. SUITABLE FOR BOATS of 16 to 32 feet in length as well as made from 100% 316 stainless steel. 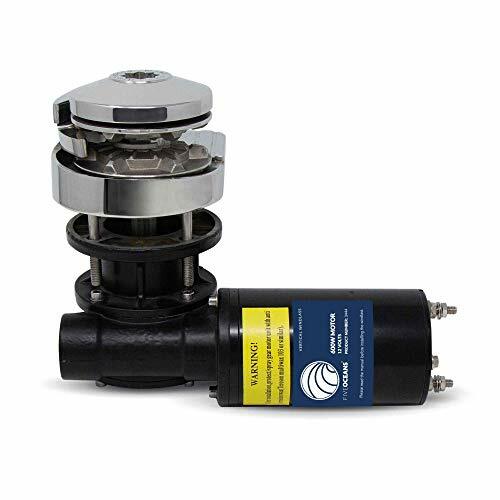 EQUIPMENT INCLUDES - each windlass supplied by Five Oceans includes a solenoid, rocker switch, circuit breaker, deck foot switch, and windlass. 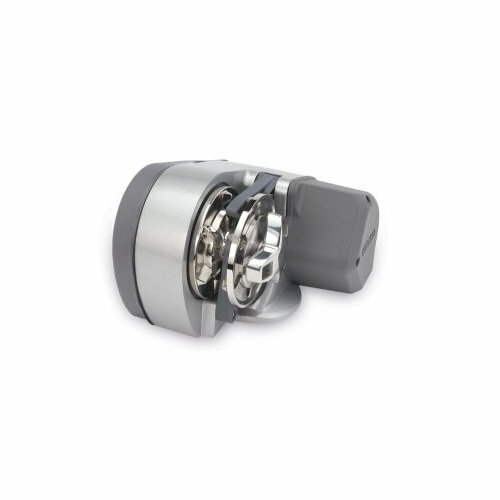 The Five Oceans Pacific 900 Vertical Windlass has a stylish look, 100% stainless-steel design which sits elegantly on the deck. Not to mention, it's fitted with a heavy-duty lever for easy installation. Noteworthy is the importance of the gypsy creating the perfect contact between rope and chain. It includes an impact-resistant motor cover, solenoid and standard switches which fit perfectly on the cockpit or bow of the vessel. 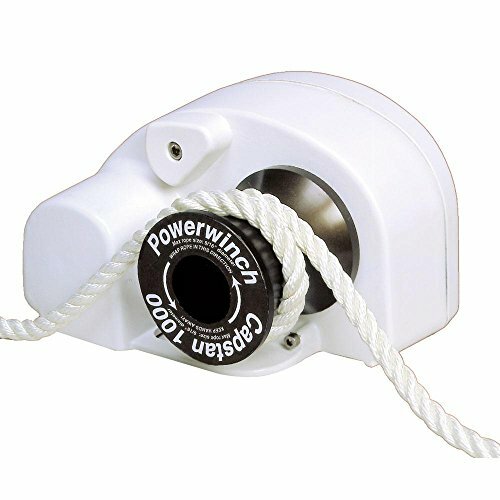 This Pacific series windlass is ideal for your average cruiser, the bigtime fisherman, those made for speed or the calm sailor. RODE MATERIAL - This series has the ability to work with a Double Braided, 3 Strands, and 8 Plait Rope. 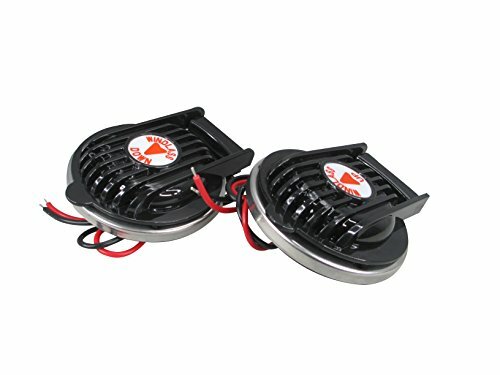 This is foot switch designed to mount on the deck, and it is suitable most anchor winches. It has protective cover that keeps the weather out. Press with foot to operate windlass or capstan. Nickel-plated copper contacts ensure corrosion-free bad reliable operation. Heavy duty switch with cover. Rated at 150 amps continuous. Nickel-plated copper contacts . Diameter: 4". Mounting Hole: 2 1/2". Item# P10098. Hinged protect cover to prevent accidental operation. Hinged cover folds flat to the deck when in use. 2 Piece Foot Switch. Material: Composite plastic with glass-reinforced polyester cover. Voltage: DC12V/24V. Color: Black Dimension: 3.8'' dia. 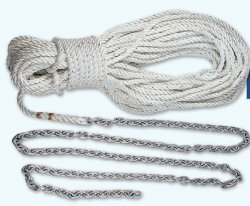 Treated windlass-grade three strand twist nylon, Acco hi-test, hot-dipped galvanized G4 chain, Improved strength to match your windlass's gypsy, Each rode comes with a shackle to attach the chain to the anchor. 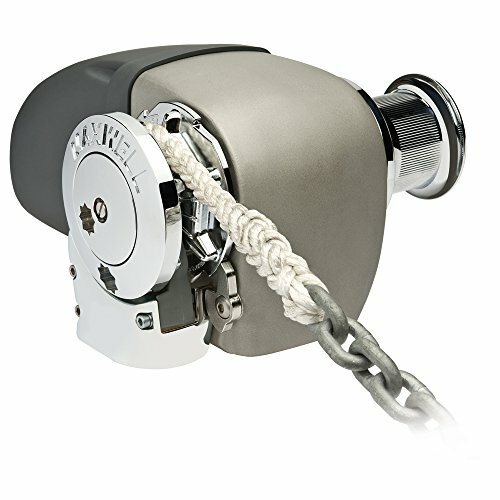 Lewmar Pro-Sport 550 WindlassLewmar's new Pro-Sport rope/chain windlass is designed as an economical package for rope and chain applications, without compromise to quality or performance. 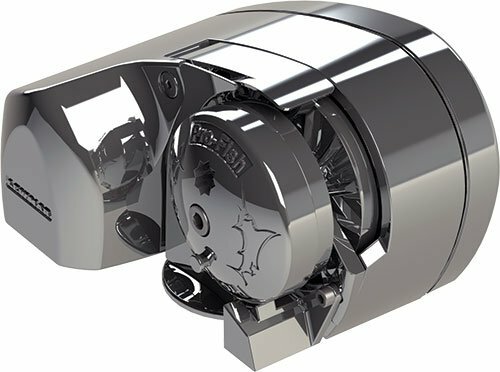 Pro-Sport is designed around a highly efficient spur gearbox, using smaller, more powerful permanent magnet motors. It's DIY-ready and easy to install. Its rugged aluminum center case and durable composite side covers make Pro-Sport the perfect choice. 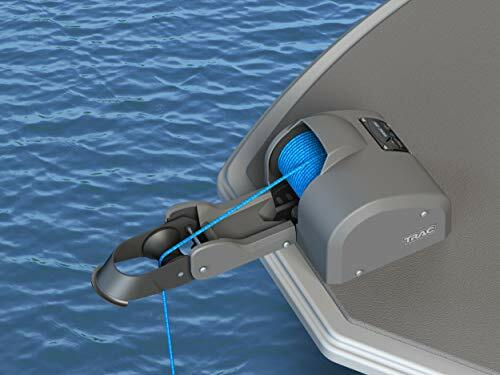 Complete with push-button control, anchoring has never been easier. A demonstration of Lewmar's commitment to provide stylish, affordable, quality products for boats from 6m-9m (20-30ft). Use with Lewmar 1/2" 3-Strand Premium Anchor Rode with 1/4" G4 Chain Powerful motor providing superior line speed Low power consumption / current draw Dual direction powered operation Manual freefall Gypsy size, 7mm (1/4")chain Maximum pulling power: 250kg (550 lb) Convenient above-deck installation Comprehensive range of switch gear options available 3-year warranty Kit Include: Windlass, Circuit Breaker, Toggle Switch, Base Gasket Seal, Fast Mounting Studs, Installation Wrench. With 100% 316 stainless steel housing and a sleek flush-mount design that hides the motor down below, the V700 is one of the most attractive and durable windlasses on the market. 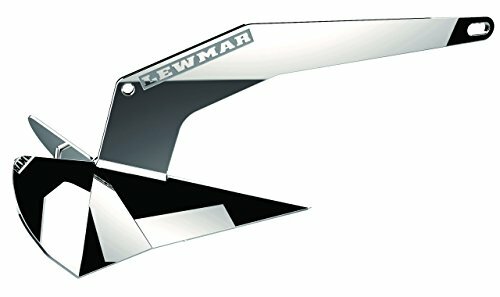 It works at the push of a button and has two built-in features that make it unique motor protection and anchor lock. Plus its affordable. Our Pro-Fish model is the ultimate windlass for fishermen. The Pro-Fish has an automatic freefall that allows you to pull right up over a wreck or ledge, and drop anchor with speed and precision. No more running your motor or wasting fuel while you hover fish. And you can retrieve your anchor just as easily, with the push of a button. Plus, the Pro-Fish is DIY ready and made of durable 100% 316 stainless steel. These white covered foot switches are single direction (One (1) Up Switch & One (1) Down) and come pre-wire ready to install. They are suitable for DC electric windlasses running on 12-24 volts and must be used with a contactor or control box. Switch for use on the bow or as a second switch station to control operation of all Five Oceans windlass models. The firm hinged cover protects switch from both accidental operation, and from the harshest marine environments. The surface mount foot switch has a simple installation process. You need to open a hole of only 10mm on the deck of the boat where the cables will pass through. All that is necessary is three small holes to fix the screws. Compatible with Windlass from other brands. 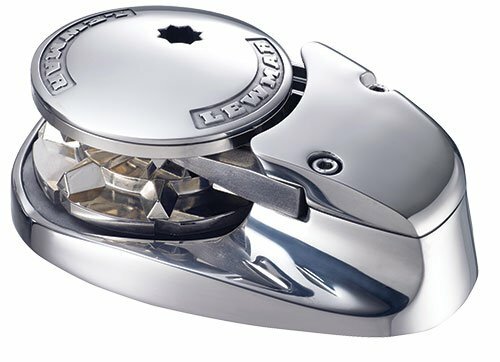 Lewmar introduces the world's first compact stainless steel windlass for power and sail boats. The beautiful styled deck unit conceals a robust, reliable drive train, worm gearbox and splined shaft for maximum strength and control. 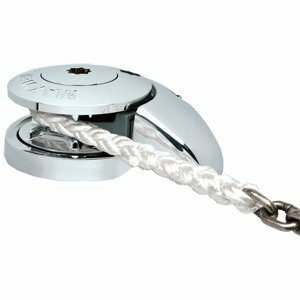 Fore and aft pontoon boat anchor windlass packages keep your boat where you want it. Make your fishing and boating more carefree by using the class 24 pontoon and fishing boat anchor winch. No more hanging over the boat to retrieve your anchor. The integrated anchor davit is included. Powerwinch is a respected leader in the marine industry, with a 50-year history of quality and innovation. Recently adopted as a division of Carefree of Colorado, Powerwinch manufactures and markets a variety of products that make boating more carefree. Carefree of Colorado is also a leading manufacturer of comfort and convenience products for the recreation industry, with valuable experience and resources it can lend to the Powerwinch business. With this natural union in place, Powerwinch is dedicated to the growth of the business through continuous product improvement and innovation. Powerwinch's corporate operations are located at Carefree's headquarters in Broomfield, Colorado.